Musashi Kosugi is an area of Kawasaki that has recently been redeveloped. There are a number of giant high-rise apartments surrounding new shopping complexes built just outside the train station. 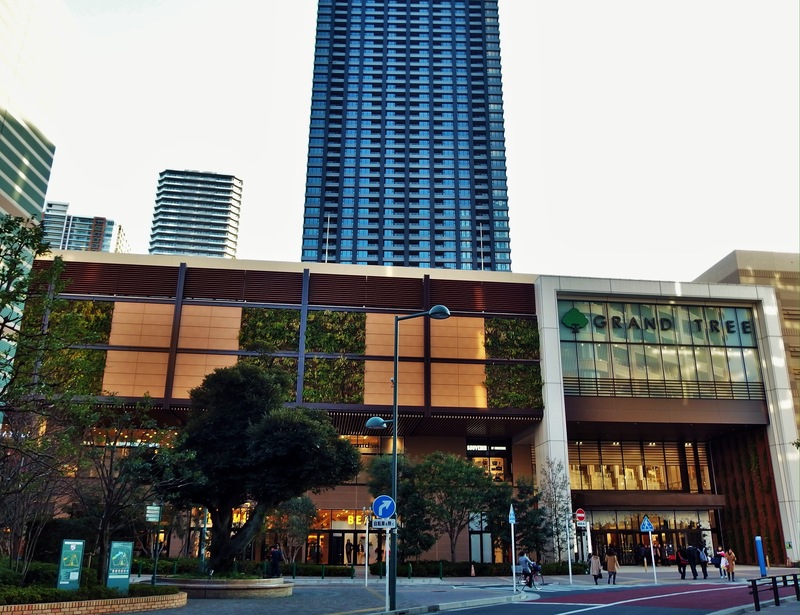 The Grand Tree Mall is especially impressive and is just 30 minutes by direct train from Azabu Juban. Shopping there is relaxing and enjoyable. Here are step-by-step instructions on how to get there and information on what you’ll find once you arrive. To reach Musashi Kosugi Station, take the Meguro Line from Meguro Station toward Hiyoshi Station. An express train will get you there faster than a local one. Many Namboku and Mita Line trains ‘turn into’ the Meguro Line when they reach Meguro Station. If you take an express, Musashi Kosugi is the 5th stop, 15 minutes, MG11. However, be careful that you do not confuse the station with Musashi Koyama, an earlier stop. Upon arrival at Musashi Kosugi Station, I recommend using the ‘Tokyu Square’ Exit. 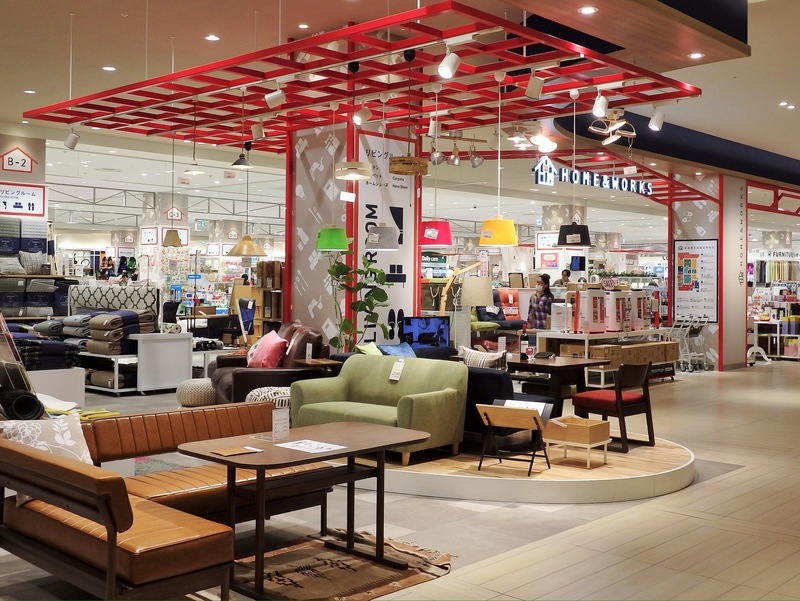 This will put you directly into the 4th floor (restaurants) of the Tokyu Square Shopping Complex. The 5th floor has a hair salon, massage services, eyebrow salon… The train station in on floors 2 and 3. The building has a first floor, but you can’t reach it from the upper floors. So, cross the connecting bridge to the other Tokyu Square building. In this building there is a public library on the 5th floor; Uniqlo, Hands Be, etc. on the 4th floor; a bookstore, ABC shoe store, 3 coins shop, etc. 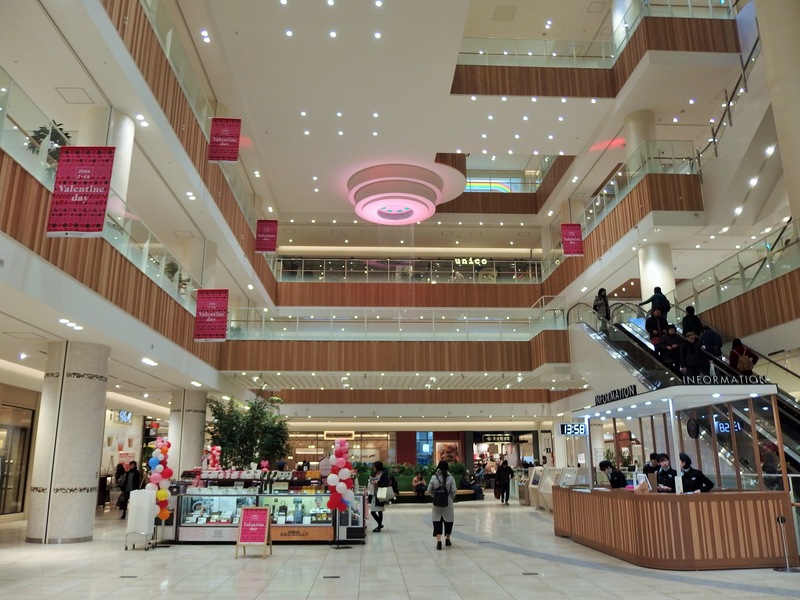 on the 3rd floor; and Tokyu Food (supermarket) and other food-related shops on the 2nd and 1st floors. To get to the mall, go down to the 1st floor and out to the station’s ‘Main Entrance #2’. Turn right and walk toward LaLa Terrace. Walk through LaLa Terrace (another shopping complex), and out the doors in the back left. Or, walk to the left of the LaLa Terrace building. You will see the mall ‘Grand Tree’ straight in front of you. At the Grand Tree Mall, if you turn to your right and walk under the train tracks… to your immediate left there is a row of nice restaurants (built directly under the tracks themselves). If you continue straight to the ‘T’, turn left and cross at the stop light to enjoy a short shotengai (traditional shopping street). If it is cherry blossom season, walk along this shotengai until you reach a small (concrete) stream. This stream is lined with cherry trees and has a nice walking path beside it. GRAND TREE MALL: The entire mall has very wide aisles and spacious sitting areas. It was designed with young mothers pushing strollers in mind. It is incredibly family-friendly. 4th Floor: All stores cater to mothers +/or children. Akachan Honpo, dog clothing/gear, food court, sewing/yarn shop, ‘Good Day Park’ – a large, child-focused, Ito Yokado. This floor is very noisy. 1st Floor: Clothing, restaurants, giant supermarket, take-out dessert counters, etc. Dining – a couple of my favorites are ‘Handmade Homemade’ for lunch or dessert – they have an extensive, bilingual menu that includes amazing individual fruit pies. Or, ‘DimJoy’ to try a variety of delicious types of dimsum. Heading home: Return to the station. Go to Platform #3 for the train toward Meguro. There is also a train that goes to Shibuya that leaves from platform #4. Remember that at Shirokane Takanawa Station the Namboku Line and Mita Line split.